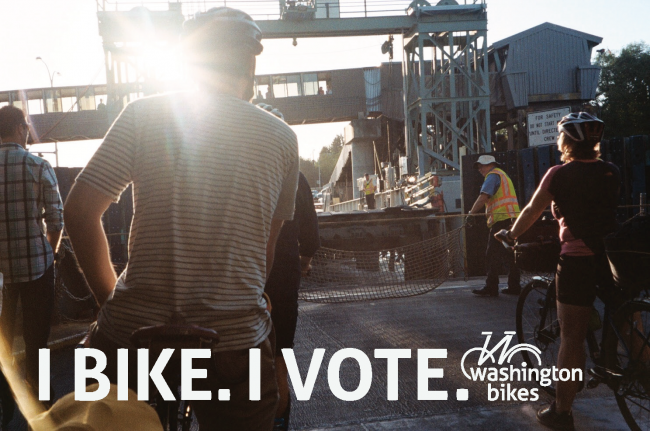 Washington Bikes has identified key regions for engagement in the 2017 electoral season, and we’re excited to announce our first round of endorsed candidates! We’re excited to make these announcements, and now we need your help! Here are three quick ways you can ensure Washington Bike champions succeed at the ballot box in 2017. First things first, it’s time to register to vote. Already registered? Great! Skip to #2, if not, register to vote by Monday, July 3 to get your ballot in the mail for the primary election! #2 Invest in the Washington Bike PAC! Now more than ever before, the priorities of our local and state leaders matter. In Seattle, Olympia, Bellevue, Tacoma and other key races in the state, the Washington Bike PAC will this year take safe streets advocacy to a whole new level. 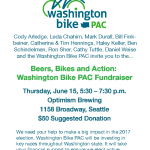 In 2017 the Washington Bike PAC (Political Action Committee) will work to elect candidates who will champion, through elected office, a vision of communities connected by bikes. We need elected officials who will connect the dots between public health and safe access to walking and biking. Leaders who will step up and put dollars behind building connected urban bike networks that get people where they need to go, and help reduce congestion. Leaders who will fund tourism-stimulating trails projects to bolster local rural economies. We need council members, mayors and legislators who will advance policies that keep people safe — regardless of how they choose to get around. Donate to the Washington Bike PAC online, and let’s together make sure we elect future leaders who’ll work with the community and lead the charge. 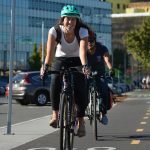 #3 Read up on Washington Bikes’ first round of endorsements! 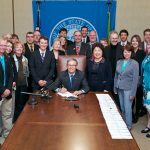 Washington Bikes’ endorsement and support are given to candidates who commit to or have a record of making communities better for people on bikes. This first round represents a solid list of candidates who have shown their commitment to growing local economies, improving health outcomes, or creating safer streets and roadways. Before the August 1 primary, Washington Bikes will release an additional round of endorsements for candidates in targeted municipalities and legislative districts around the state. 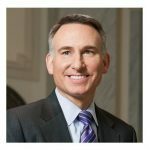 Dow Constantine continues to lead King County and also in marshaling support for smart policies in the 39 jurisdictions located across the County. Through his leadership, Sound Transit 3 package included historic investments for biking and walking access that will total over $370 million over the 25-year levy. His strong support of trail investments — including the completion of the 42-mile Eastside Rail Corridor by 2020 — is connecting the King County Regional Trails system together. He has exhibited strong leadership on the local and state level to locate schools close to residences so that children can safely and easily bike and walk to school. Dow Constantine is a supporter of the adoption of 20 MPH neighborhood streets, complete streets policies, and a fix-it-first approach (by not adding new roads or lanes) to addressing King County’s road maintenance challenges. Finally and, most importantly, his 3-year-old daughter is already learning to ride a scoot bike! Lorena González is a champion for working families and children, safe communities and equitable transportation, including making our streets better places to bike and walk. As a trained personal injury attorney, she understands why protecting vulnerable road users is of paramount importance. 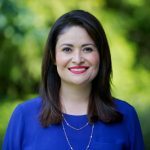 In her time on City Council, Lorena supported legislation to lower vehicle speeds. She supports implementing the Basic Bike Network by 2019 and is committed to the Missing Link Framework Agreement. 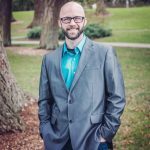 Chris Beale, a candidate in Tacoma City Council’s District 5 race, is seeking office with hopes of working to improve housing affordability, Tacoma’s multimodal transportation network, and public safety, with a focus on Safe Routes to School (SRTS). Chris is committed to an equitable distribution of SRTS implementation and programming throughout the city. Chris has a record of working to make Tacoma a more bike-friendly city through his service on Tacoma’s Planning Commission, as board president of a local trails nonprofit, ForeverGreen Trails, and as a founding member of the Pierce County Coalition for Active Transportation. Kate Burke is running for Spokane City Council District 1, Position 1. As a former member of the Spokane Bike Advisory Board, Kate helped ensure connectivity and completion of local Spokane trails. 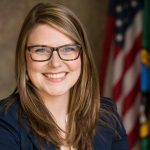 Kate is committed to improving accessibility for people walking and biking throughout Spokane through the implementation of safe, connected infrastructure. She will continue to advocate for Safe Routes to School (SRTS) funding and supports programs that teach kids early on in life the healthy habits of walking and biking. Kate enjoys bike touring and has been known to pick up new friends along the route! 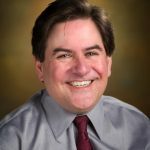 Jay Arnold is a proven leader for the development of the Cross Kirkland Corridor and the expansion of the city’s Neighborhood Greenways network. He continues to lead the regional conversation for investments to make the Cross Kirkland Corridor and the greater Eastside Rail Corridor a model for what it means to be a multimodal transportation corridor. As a willing but wary cyclist, Jay gets the need for improving and enhancing existing streets and in improving safety near schools so that parents feel safe letting their children bike and walk to school. His support for Vision Zero, and in building a balanced transportation network for biking and walking will aid Kirkland in moving forward on addressing the challenges and opportunities of a growing population. Washington Bikes is excited for all that lies ahead on the 2017 campaign trail. By taking these three easy steps, you’ll chart a course to elect champions who share our vision for active, connected and safe communities. This article was posted in Endorsement, Endorsements, News, Politics and tagged endorsements, politics, ST3. Bookmark the permalink. Follow comments with the RSS feed for this post. Both comments and trackbacks are closed.